Ahead of the election in Karnataka, the Congress was hostile to a pact with Deve Gowda. 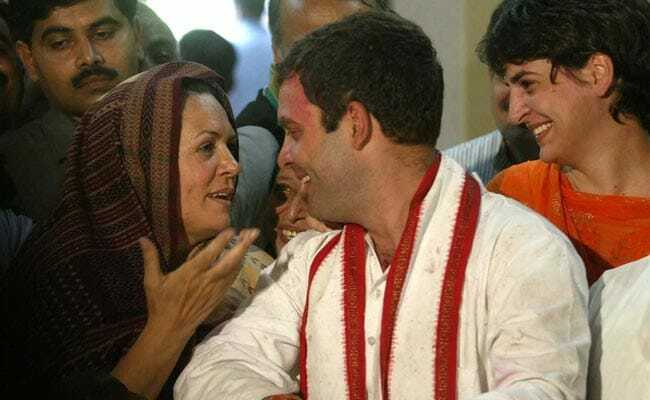 Right after the Congress was rejected by Karnataka today, the party's first family met at the Delhi home of Rahul Gandhi, who took over from his mother, Sonia Gandhi, as party president in December. It was at this gathering, which included Rahul's sister, Priyanka Vadra, that the family decided to make an urgent overture to Deve Gowda, the former prime minister whose party, the regional Janata Dal Secular or JDS, collected nearly 40 of Karnataka's 224 seats. The Congress had less than 80. The BJP was in first place with 104 - eight short of what it needs to form a government on its own. 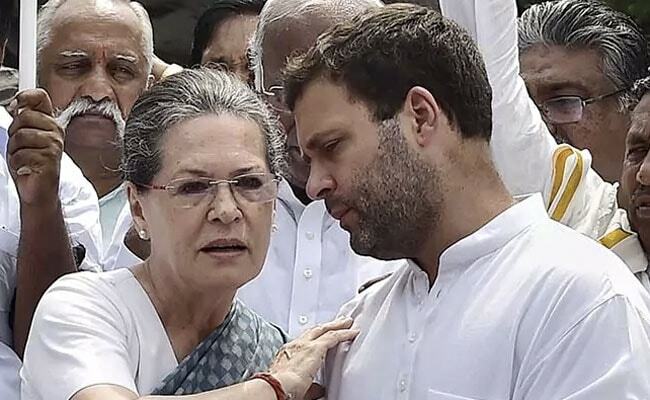 The Gandhis, sources in their party said, then authorised senior leader Ghulam Nabi Azad to phone Mr Gowda with this offer: his son, HD Kumarasawamy, could head a coalition government if the Congress got to choose his deputy. Mr Gowda responded favourably. As of 6 pm, both Mr Kumaraswamy and the other contender for Karnataka Chief Minister, BS Yeddyurappa of the BJP, were hustling Karnataka Governor Vajubhai Vala to ask for the first shot at forming the government. That would mean their respective legislators taking oath, followed by a trust vote. Ahead of the election in Karnataka, the Congress was hostile to a pact with Mr Gowda. In February, Mr Gandhi shaded him, alleging he was the "B-team" of the BJP in an undercover arrangement with the Prime Minister's party. At the time, the Congress and its politically savvy chief minister, Siddaramaiah, believed they were in pole position in the campaign. As Prime Minister Modi's campaign hit its stride, however, it became clear that Karnataka, seen as a primer for the next national election, was undecided about who it would choose. The state has not re-elected an incumbent for nearly three decades. Opinion polls and then some exit polls forecast a fractured result. The JDS, in that case, as the third party in contention, would decide who would come to power through an alliance. The Congress adjusted to the political expediency by suggesting it would not insist on Mr Siddaramaiah remaining Chief Minister in a new government. Mr Siddaramaiah had vaulted from the JDS to the Congress in 2006 over his mentor, Mr Gowda, promoting his son as his political heir. More than a decade later, it was far from a case of no hard feelings. Just two days ago, Mr Siddaramaiah said he would make way for a Dalit candidate as Chief Minister, if necessary, conceding that another term was not in the offing for him. Mr Gowda, meanwhile, had told NDTV that he would "disown" his son, Mr Kumaraswamy, if he opted to team with the BJP. In 2006, Mr Kumaraswamy brought down a Congress-JDS coalition government to partner with the BJP. Mr Gowda said any sort of deal with the BJP would betray his "secular" values. So far, he has not gone back on that, though his critics point out he is an astute politician not averse to chicanery. After Karnataka turned into a political sinkhole for the Congress today, leaving the party in charge of just one major state, Punjab, the Gandhis were keen to signal that they would, in the interest of defeating the BJP, accept the status of a junior partner. They hope that this messaging serves the party well as opposition leaders try to come to an arrangement to unitedly block PM Modi from getting a second term. The Congress, which has been delivered a series of political lessons lately, was left out of the opposition's succulent win in Gorakhpur in March. Regional heavyweights Akhilesh Yadav and Mayawati forsook decades of animosity to contest together against the BJP in a by-election for the homestead of Uttar Pradesh Chief Minister Yogi Adityanath. The Congress was treated as dead weight by both - it wasn't made a party to their arrangement. Its stand in Karnataka today hopes to persuade opposition VVIP like Mamata Banerjee that it can do better. And that it is willing to accept the price of admission.